Weber County is a county in the U.S. state of Utah. As of the 2010 census, the population was 231,236, making it Utah's fourth-most populous county. Its county seat and largest city is Ogden, the home of Weber State University. The county was formed in 1850 and named after the Weber River, which in turn was named for John Henry Weber (1779–1859), a fur trapper and trader in the area in the mid-1820s. 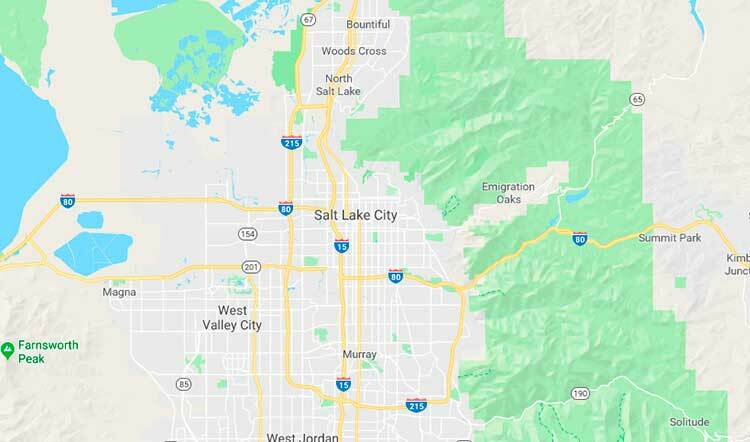 Weber County is part of the Ogden-Clearfield, UT Metropolitan Statistical Area as well as the Salt Lake City-Provo-Orem, UT Combined Statistical Area. Historically Weber County stretched from the California, Oregon, Utah Territory border in the north west, to the current boundary in the south east. As Nevada and the State of Utah evolved, Weber County shrunk to its current size. It occupies a stretch of the Wasatch Front, part of the eastern shores of Great Salt Lake, and much of the rugged Wasatch Mountains. According to the U.S. Census Bureau, the county has an area of 659 square miles (1,710 km²), of which 576 square miles (1,490 km²) is land and 83 square miles (210 km²) (13%) is water. It is the second-smallest county in Utah by land area and third-smallest by total area. As of the census of 2000, there are 196,533 people in the county, organized into 65,698 households and 49,536 families. The population density is 342 people per square mile (132/km²). There are 70,454 housing units at an average density of 122 per square mile (47/km²). The racial makeup of the county is 87.69% White, 1.40% Black or African American, 1.28% Asian, 0.77% Native American, 0.16% Pacific Islander, 6.59% from other races, and 2.12% from two or more races. 12.65% of the population are Hispanic or Latino of any race.